Jerusalem’s current transportation revolution isn’t limited to light rails and the not-so-fast train to Tel Aviv. 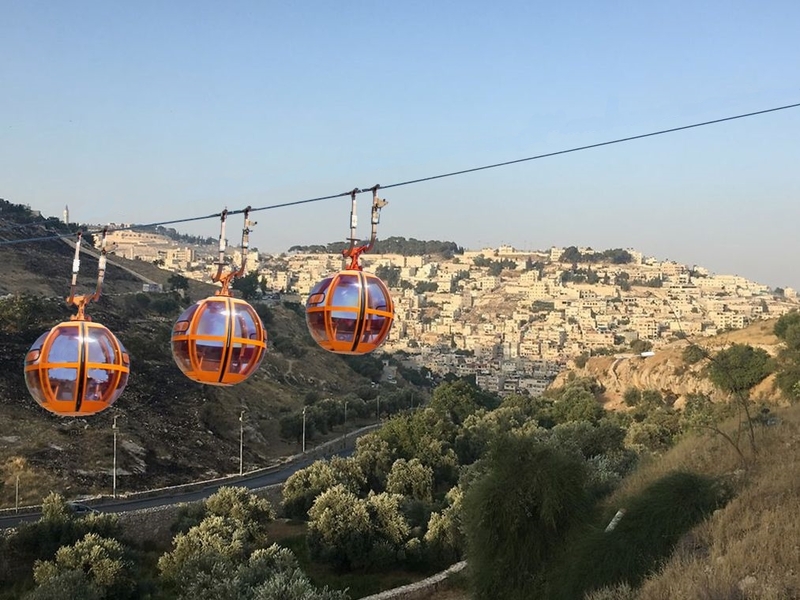 One issue in municipal elections this month was the proposed construction of a cable car offering transport across the Ben Hinnom Valley to the Old City. Just as cable cars effortlessly convey tourists to the scenic heights of Prague and Grenoble, France, the plan is to bypass the congested entrances to Jerusalem’s Old City, depositing passengers straight at the Western Wall. 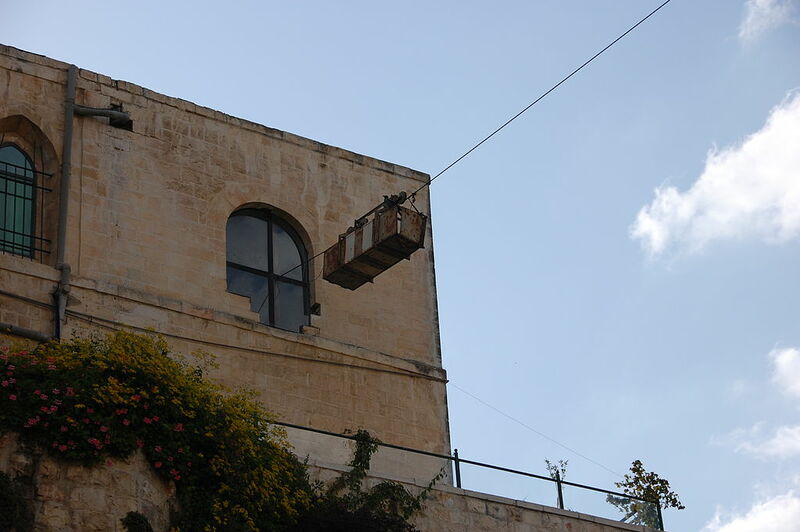 Cable cars in Jerusalem are actually nothing new. 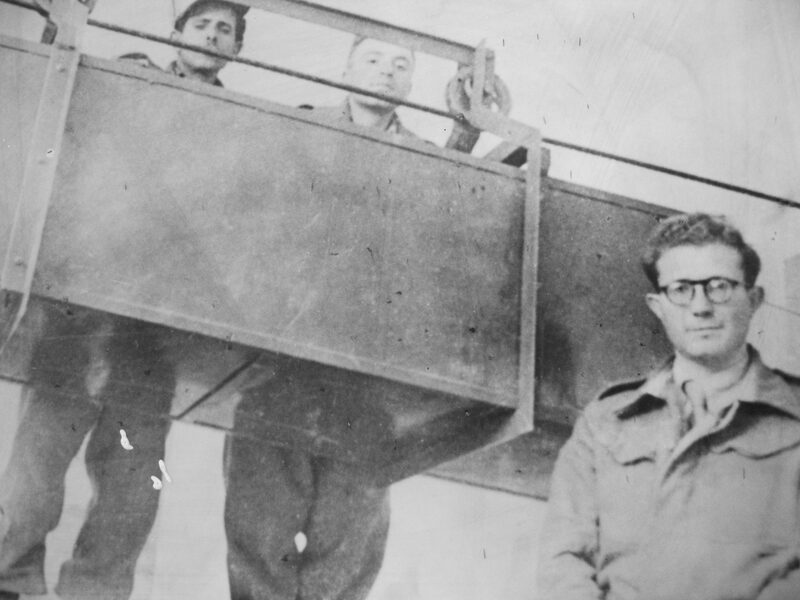 During Israel’s War of Independence, when the Old City was cut off from the new, officer Uriel Hefetz suggested an alternative to tunneling in and out (which was impractical for emergency evacuations). Until the cease-fire of 1949, his cable car – little more than a small box – secretly ferried casualties and supplies weighing up to 250 kilos between St. John Eye Hospital (now the Mount Zion Hotel), on Hebron Road, and the Bishop Gobat School, on Mount Zion. At each end of the two-hundred-meter cable, under cover of night, three soldiers winched the cart by hand from one side to the other. Suspended fifty meters high, the cable was lowered to the ground every morning before daybreak, so it wouldn’t be seen by the Jordanians stretching across the valley. The cable car was maintained in case of emergency until the Old City’s recapture in 1967. 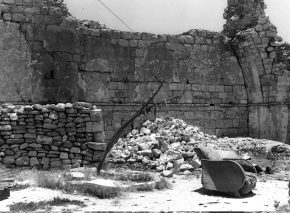 In 1962, the Ministry of Religious Affairs proposed cable transportation to Mount Zion, but the idea was dropped, not only for fear of Jordanian snipers, but to preserve the view – and to continue the pilgrim tradition of entering Jerusalem on foot. As for the current cable car scheme, though green and pro-development city councilmen are still wrangling over the projected stain on Jerusalem’s skyline, no one in this age of accessibility is objecting on religious grounds. Since 1972, the Mount Zion Hotel has housed a cable car museum. Entry is free but must be coordinated with hotel security.